Click here for a blog which dove tails with this training. "That person is a pain in the neck." I have seen the pain of a stiff neck and shoulder immediately released when the person I was counseling forgave another who was "a pain in their neck." Let Jesus cleanse traumatic memories from your cells! The US National Library of Medicine hosts this article on stress which indicates up to 90% of illnesses are stress related. Quotes from the article include: "It is estimated that 80% to 90% of all industrial accidents are related to personal problem and employees’ inability to handle stress (6)." "The European Agency for Safety and Health at work reported that about 50% of job absenteeism is caused by stress (7)…." "The Centre for Disease Control and Prevention of the United States estimates that stress account about 75% of all doctors visit (7)…" "According to Occupational Health and Safety news and the National Council on compensation of insurance, up to 90% of all visits to primary care physicians are for stress-related complaints." 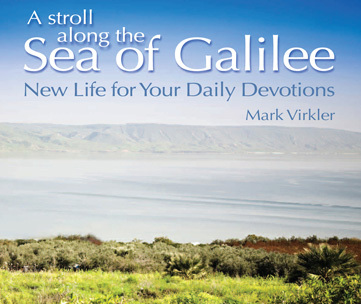 In this 23-minute presentation, which you will receive in both digital video and MP3 audio format, Mark Virkler walks you through this amazing healing process and shares the profound healing impact this prayer approach had on his life. This is one of the teachings from his longer series on Unleashing Healing Power. Here is a full blog titled How to Clear Cellular Memories - Removing Emotional Roots to Diseases. I enter His rest - I put on some very soft soaking music to quiet my spirit before Him. I ask Jesus what needs healing - "Lord, what needs healing in my life today? What stressed body organ or infirmity or abnormal emotional response needs to be dealt with?" I receive words of knowledge - "Holy Spirit, please bring to my attention any event(s) which occurred at the inception of this physical, emotional or spiritual infirmity in my life or which added to it later on." I tune to flow and make a list of one line titles for each of the various events which light upon my mind. These are words of wisdom and words of knowledge revealing a root experience which will need to be resolved so the infirmity can be healed. A spouse or close friend can assist me in recalling traumatic events which need healing. After this list is created, we then apply steps 4-8 to each event on this list. Use the downloadable sheet in the next section to make this easy. I invite Jesus into the scene - "Jesus, remind me of what was I feeling and where You are in this scene. What are You speaking, doing, and asking me to do?" I follow His instructions by repenting, forgiving, releasing, honoring and blessing the individuals (including myself and the event itself). John Arnott tells of asking a woman to forgive her horse for falling on her and crushing her hip. As soon as she forgave the horse, her hip pain vanished! Record what the Lord speaks and does and what happens. Cellular emotional trauma is released by Jesus - "Jesus, please remove the memory of this trauma which is stored in my (state specific body part)." Pause, watch, look, listen and feel as Jesus ministers healing grace. Conclude with a couple of deep breaths. Demonic entanglements are renounced in Jesus' name - "I renounce and break off all demons, in the name of Jesus, which were attached to these events." I pause, watch, look, listen and feel as Jesus ministers deliverance to me. Breathe out a couple of times forcefully and feel the release. Record what demons are rebuked and what you sense and see happening. The names of the demons will light upon your mind as spontaneous flowing thoughts, and generally correspond with what they are causing: anger, hatred, fear, inferiority, condemnation, shame, infirmity, arthritis, etc. Physical healing is received through Jesus - "Lord Jesus, would You shine Your light upon (name body part)?" Watch Jesus touch, heal and restore the damaged body part. Then thank Him: “Thank You, Jesus, for Your healing, restorative touch. I receive it with gratefulness." Record what transpires. Divine gifts are revealed by Jesus - "Lord, what is the gift You have produced in my life through this trauma/event?” Record what this gift is and see and speak ONLY of this gift from now on! The following is lifted from Pamela's final paper for the Communion With God Course she took with Christian Leadership University. It is used with her permission. Jessie Mejias is a Christian Leadership University student who has developed an anointed counseling ministry, Finding Home Institute. The articles in her recent newsletter are so powerful that I want to pass them on to you! The first is about doing things together in unity, and how this magnifies the final outcome. The second article is on how to detect generational patterns that are negatively affecting you and your family and repent for these sins and break them off from your life. Doug Sterner writes... Once again I’m excited about the possibility of entering into dialogue with my God and Savior. I really do long to have intimate fellowship – real two-way conversation – with Jesus through the indwelling Holy Spirit. And I really believe it is possible. I believe it because I have experienced it – again!